invented this stupid name?) they had On The Rocks issued on the budget label Europa in 1970. 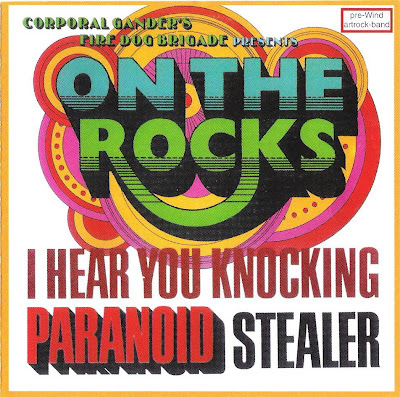 "Paranoid", "Into The Fire" and "I Hear You Knocking", along with seven original compositions. For more information about the group, please look at the Wind entry. oe: Please please me help find info or links about another group or compilation Fire Dog Brigade. Наve on hands in '70s such lp, but maybe this was compilation with that title. In style hard rock near to Black Sabbath.